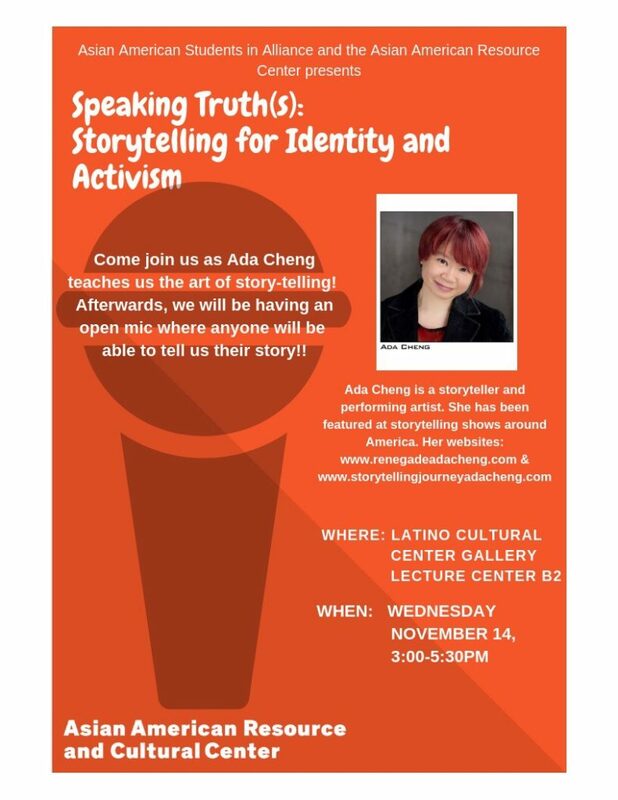 Come join Asian American Students in Alliance and the Asian American Resource and Cultural Center as Ada Cheng teaches us the art of story telling. Afterwards, we will be having an open mic where anyone will be able to tell us their story. Ada Cheng is a storyteller and performing artist. She has been featured in storytelling shows all across America.